One of the most interesting areas in the city of Cerritos is the Sculpture Garden, which was donated by the city to the residents to commemorate the fiftieth anniversary of the city’s founding. It features a number of interesting sculptures made from living vegetation as well as other materials. The mixture of open areas, statues and smaller more complex areas offer a wide choice of places for people to enjoy. However, it is not just the people that take advantage of the sculpture in the gardens; visitors can see a wide variety of birds and insects. Many of the varieties of insect life are interesting to watch, but wasps, bees and yellow jackets have been known to make themselves at home in the sculptures and shrubbery throughout the city. This can be alarming for people trying to enjoy the sculpture garden who suddenly find bees coming out of the hedge-sculptures! As a first rate, high quality service company, Bee Busters, Inc. can help you with the problem of unwanted bees, yellow jackets and wasps. Bee removal service located in the area has been safely removing or relocating these troublesome insects that cause consternation among the citizenry. One of the functions of bee keeping is the removal of bees that have decided on making areas of commercial buildings, homes or shrubbery and their hives. Homes that have removed the unwanted insects are safer and more attractive to buyers and homeowners alike. The stings from yellow jackets, bees and wasps can cause deaths to animals and humans alike; and the Africanized kind of bees are some of the most deadly. 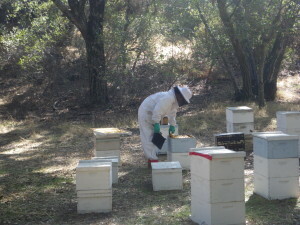 Cerritos Bee Removal Service – We provide Cerritos bee removal service featuring highly trained professionals who are adept at removing both long-established colonies or freshly arrived swarms of bees that have settled in areas that are not safe for them or the humans nearby. Bees, wasps and yellow jackets can be dangerous! It is important to find professionals to help deal with removal, relocation and rescue of the venomous insects before they cause serious damage to property and the lives of your family, friends or co-workers. 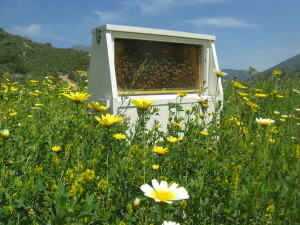 Call (949) 497-6264 or (714) 731-1959 for help in dealing with problems with bees, yellow jackets or wasps! Providing fantastic service for over twenty five years, we are Bee Busters, your Cerritos bee removal service team. 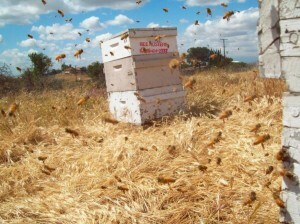 For bee removals in Cerritos, Call Bee Busters Today!